It's all about ATP (adenosine triphosphate). Hearts, skeletal muscles and every other tissue in our bodies have an absolute need for ATP as their primary energy currency. Cells and tissues will cease to function if they are not provided with a constant and stable supply of energy. Both the total pool of energy substrates (ATP) in the cell and the cell's ability to recycle these compounds are fundamental to healthy energy metabolism and cell function. When hearts are stressed by disease, energy substrates, called purines, wash out of the cell and the total pool of cellular energy becomes severely depleted. Disease also disrupts the heart's ability to recycle its remaining energy through the oxidative phosphorylation mechanisms. The combination of energy pool depletion and metabolic dysfunction contributes to the severity of the disease and impacts the physiological health of the heart. The same is true for skeletal muscles that are stressed through disease or high-intensity exercise. CoQ10(Ubiquinol) and L-carnitine are major players in the energy recycling metabolic pathways. D-ribose is the only compound used by the body to replenish depleted energy stores and rebuild energy pools. Magnesium is a vital mineral used by the enzymes that make energy synthesis and recycling possible. CoQ10 is an enzyme that occurs naturally in the mitochondria of every cell in your body. It plays a key part in metabolizing energy from food. CoQ10 plays an important role in stabilizing cell membranes. It is essential in directly supporting ATP recycling in the mitochondria of the cells. This is especially important for tissues that use a lot of energy, such as the heart and the brain. CoQ10 helps any type of cardiomyopathy, congestive or even hypertropic. It impacts on both systolic and diastolic dysfunction, improving quality of life. It also functions as an antioxidant, inhibiting lipid peroxidation and scavenging free radicals. CoQ10 has neuroprotective effects against mitochondrial toxins. CoQ10 plays an important role in reducing platelet size, distribution, stickiness and limiting platelet aggregation and activation. It helps prevent blood clot formation. Diseased gums may be a sign of low CoQ10 levels. Spontaneous abortion is also linked with low CoQ10 levels. Research indicates that if levels of CoQ10 decline by 25% our organs may become deficient and impaired. If levels decline by 75% serious tissue damage and even death may occur. CoQ10 decreases cardiac mortality. Statin drugs, tricyclic antidepressants and beta blockers deplete CoQ10 and if CoQ10 is not given at the same time as these drugs, cardiomyopaghy or CHF may result. Overactive thyroid or a pulsating heart requires additional CoQ10. CoQ10 comes in two forms, ubiquinone and ubiquinol. 15 mg of the (reduced) ubiquinol form of CoQ10 is equal to 50 mg of the ubiquinone form of CoQ10. So ubiquinol raises blood levels of CoQ10 just over three times as well as standard ubiquinone. To create cellular energy, the body has to convert ubiquinone into ubiquinol. Aging and other factors however slow down or stop this conversion from happening, leading to low CoQ10 levels. If you are one of these that has a problem converting ubiquinone, then ubiquinol will have an even stronger effect, in comparison with ubiquinone. The ability to convert ubiquinones into its usable form decreases with age. Some studies show ubiquinol as being up to 8 times as bioavailable as ubiquinone. Carnitine is not an amino acid and it does not in fact contain the amino group (NH2). Carnitine is a coenzyme, a water-soluble vitamin-like compound. And this carnitine is similar to choline, one of the B vitamins-and, like various B vitamins, carnitine helps us turn food into energy. More specifically, it is essential for the burning of long-chain fatty acids. L-carnitine is thought to be one of the safest nutritional supplements on earth. The heart depends on adequate concentrations of carnitine for normal heart function. It is useful in clearing the bloodstream of ammonia and aids in creating glycogen, used to store essential glucose. It transports waste products out of the mitochondria, thus ensuring that toxic metabolic waste products do not accumulate. Carnitine reduces the accumulation of lactic acid, which is responsible for the burn felt inside the muscles with exercise. It can also help to prevent muscle atrophy. Carnitine protects the heart from damage when a heart attack or a spasm cuts off the oxygen supply. Recent research has shown that carnitine can aid in recovery after a heart attack. Subjects taking carnitine showed significant improvements in heart rate, blood pressure, angina attacks, rhythm disturbances, and clinical signs of impaired heart function compared to the subjects taking placebo. Low thyroid function may indicate a need for carnitine to help overcome low energy levels and the tendency to gain weight. Carnitine can improve insulin sensitivity in those with type 2 diabetes. Kidney dialysis rinses away amino acids, causing weak, tired condition, which is threatened by high triglycerides. Carnitine supplements may be advisable in such situations. Carnitine combines with enzymes found in the mitochondrial membrane to transport fatty acids into the interior of the mitochondria, where they are oxidized to provide fuel for the generation of energy. In the absence of carnitine, fatty acids are not oxidized, but, instead, are transformed into dangerous triglycerides. 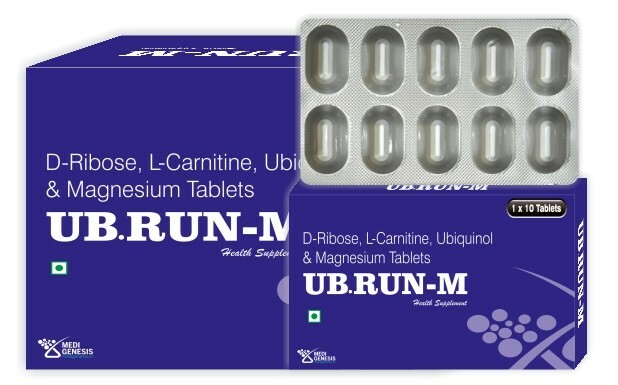 Carnitine is an antioxidant and enhances the effectiveness of antioxidant vitamins C and E. Carnitine is synergistic with pantethine (vitamin B5). Carnitine is manufactured by the body if sufficient amounts of iron, vitamin B1, vitamin C, niacin, vitamin B6, lysine, and methionine are available. Today the average carnitine intake is estimated at a mere 30 to 50 mg a day (very low). Strict vegetarians consume practically no carnitine. D-ribose (or ribose) is a simple 5-carbon sugar found in all living cells. It was thought to be primarily a structural component of DNA and RNA with little physiological significance. But a series of studies revealed that this sugar molecule played an intermediate role in an important metabolic reaction called the pentose phosphate pathway. This reaction is central to energy synthesis, the production of genetic material, and for providing substances used by certain tissues to make fatty acids and hormones. One study showed that D-ribose improved diastolic functional performance of the heart, increased exercise tolerance, and significantly improved the quality of life of patients. More than 100 papers have been completed or published on its cardiovascular health benefits. In short: Ribose plays a role in the manufacture of glucose, which is used in the body in metabolic processes, including energy production and, cyclically, production of ribose. Ribose also converts to pyruvate, which can combine with oxygen in the metabolic pathways to produce adenosine triphosphate (ATP) - the energy source for all muscles. Ribose is the prime ingredient in the production of ATP. Ribose improves the relaxation of the heart that allows it to fill properly with blood. Thus ribose improves diastolic heart function. It is vital in the formation of nucleotides, compounds needed by the heart and skeletal muscles, as well as other body cells. Nucleotides are required for the body to produce energy for muscle cells; manufacture protein, glycogen and nucleic acids (RNA and DNA); form the cyclic nucleotides responsible for controlling calcium and other electrolytes; and relax the heart and muscle cells. An adequate dose of D-ribose usually results in symptom improvement very quickly—sometimes within a few days. The half-life of ribose is only 30 minutes. Inside cells, the biggest magnesium concentration is found in the mitochondria. All enzymatic reactions involving ATP have an absolute requirement for magnesium. In addition, magnesium is a contributing partner for more than 300 enzymatic systems in the body. Magnesium is highly beneficial for treating angina, arrhythmia, atrial fibrillation, atherosclerosis, strokes, heart failure, heart attack, high blood pressure, and mitral valve prolapse. As a muscle relaxant within arterial walls, it alleviates chest pain and other symptoms of angina due to lack of oxygen to, or energy in, the heart. Taken regularly, magnesium can help maintain vascular tone and healthy blood pressure, and may also contribute to reversing arterial plaques. Magnesium also helps prevent insulin resistance. Magnesium deficiency is very common. Chronic emotional and physical stresses deplete magnesium. In angina, there is a direct correlation between deficiency and frequency of chest pain. Various bowel diseases and some GI medications, such as histamine 2 antagonists, may impair absorption of dietary and supplemental magnesium. Long-term diuretic therapy, commonly prescribed to treat high blood pressure, is another problem. It drains the body of many important minerals, including magnesium. Supplementation is essential for anyone on such a program. ●	CoQ10 shows very few significant side effects, though some patients report insomnia and restlessness when treated with high doses of CoQ10 supplements. If this occurs, the dose should be lowered until the symptoms resolve. No serious side effects have been reported from the use of coenzyme Q10. Some patients using CoQ10 have experienced other possible side effects include rashes, nausea, upper abdominal pain, dizziness, visual sensitivity to light, irritability, headache, heartburn, and fatigue. Generally CoQ10 is well tolerated. ●	Carnitine is a very well tolerated and safe supplement. It does not appear that L-carnitine causes significant side effects, although high doses taken on an empty stomach may cause diarrhea. Other possible but rare side effects include body odor, rash, and increased appetite. This supplement is generally very well tolerated. ●	The toxicology and safety of D-ribose have been exhaustively studied. The supplement is 100% safe when taken as directed. There are no known adverse drugs or nutritional interactions associated with D-ribose use. ● Patients being treated with AZT, Doxorubicin, Isotretinoin or Valproic acid should speak to a physician before taking any L-carnitine supplements. ●	D-ribose should be taken with meals (or at least mixed into juice, milk, or fruit) to offset the blood-glucose-lowering effect. ●	CoQ10 may alter the body's response to warfarin and insulin. ●	Anticonvulsant drugs may lower the effectiveness of carnitine supplements. This combination is contraindicated in Pregnant and nursing women and in very young children.